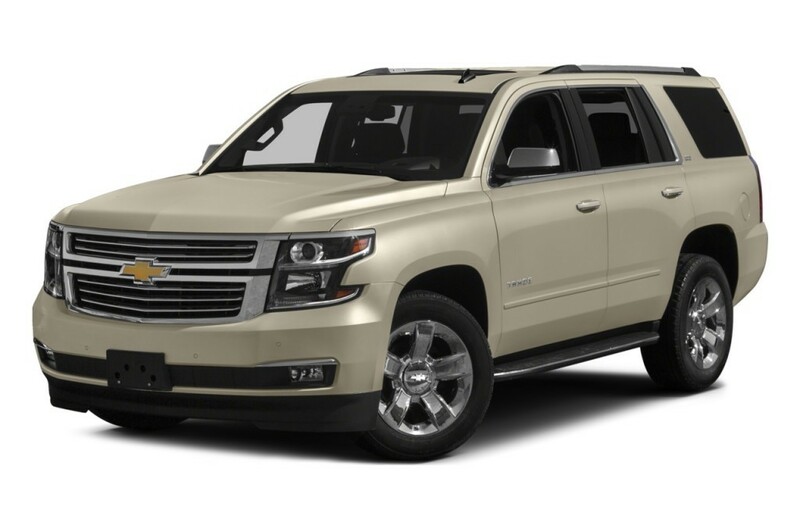 In an age when many SUVs are giving up their commanding performance specs and spacious cabin and cargo areas, the 2016 Chevrolet Tahoe and the 2016 Chevrolet Suburban give shoppers two great options in the powerful, full-size, truck-based SUV segment. While both of these Chevrolet models deliver commanding performance and come equipped with similar high-end equipment, there are some important differences to consider. 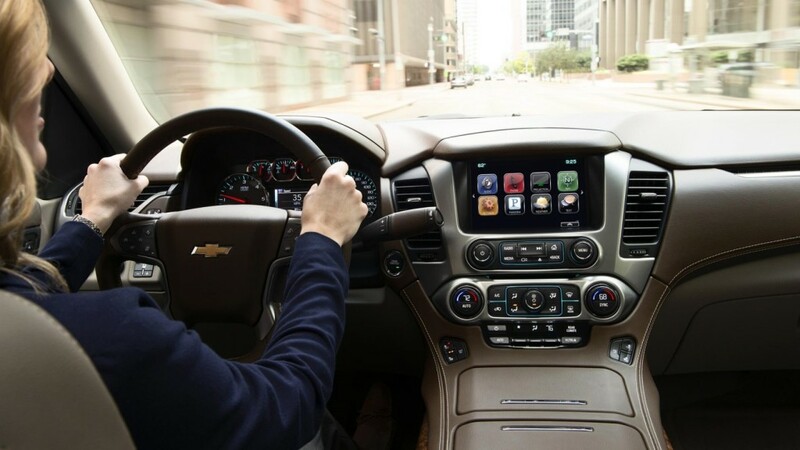 See how they compare, and then make your way to your Bloomingdale-area Chevy dealer in Glendale Heights, IL to take both models on a test drive. 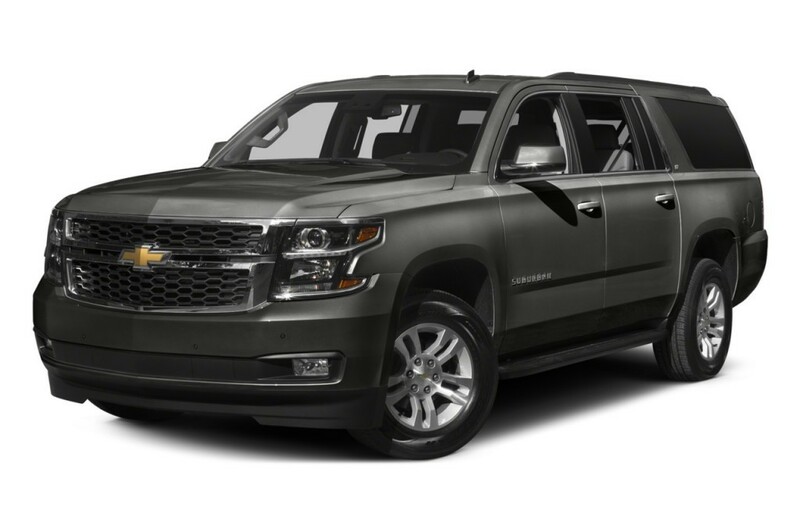 Whether you decide to purchase the 2016 Chevrolet Tahoe or the 2016 Chevrolet Suburban, you’ll get a 5.3L V8 engine that comes fitted to a six-speed shiftable automatic transmission and produces a total output of 355 hp and 383 lb-ft of torque. On both models, this power can be distributed via a rear-wheel drive or four-wheel drive system. However, the two differ in terms of towing capabilities. The Tahoe can haul up to 8600 pounds, while the Suburban’s maximum towing capacity is slightly lower at 8300 pounds. The cabin of both the 2016 Chevrolet Tahoe and the 2016 Chevrolet Suburban provide spacious seating for seven, eight, or nine passengers. Both can seat eight people as standard, and that number drops to seven if you opt for second-row captain’s chairs. These vehicles offer a tremendous amount of comfort and luxury, with available features like leather upholstery, heated first- and second-row seating, a Bose stereo system, and a rear-seat entertainment system with a Blu-ray player. The big difference with these models is the available space. 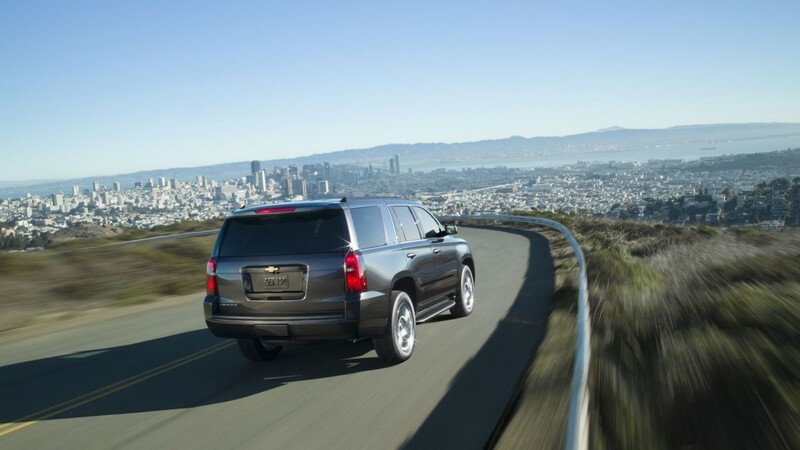 2016 Chevrolet Tahoe: Behind the third row of seats, the Tahoe has a standard cargo volume of 15.3 cubic feet. When you utilize the second and third row seats for storage that number increases to 94.7 cubic feet. 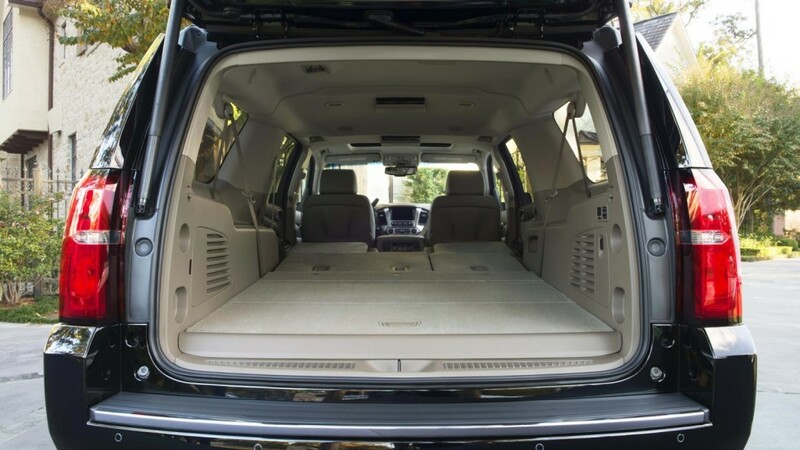 2016 Chevrolet Suburban: There’s a total of 39.3 cubic feet of dedicated cargo space behind the third-row, and maximum cargo volume comes in at 121.7 cubic feet. These SUVs have a similar price range, but you’ll pay a little bit more for the 2016 Chevrolet Suburban. 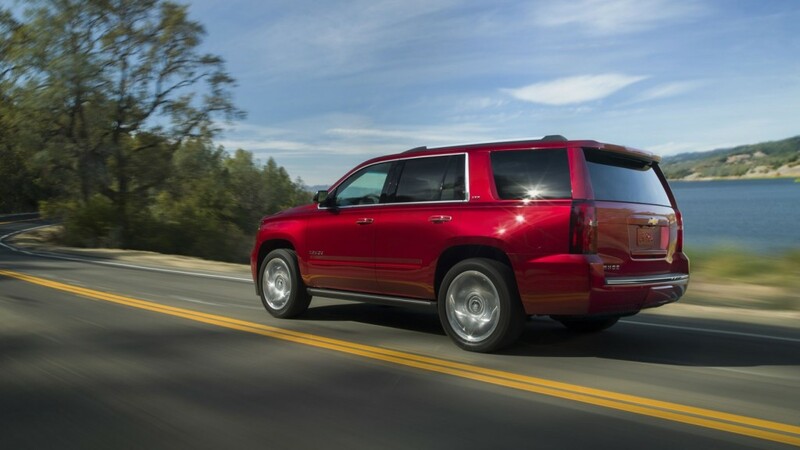 Should You Choose the Tahoe or the Suburban? These are similar full-size SUVs models built with a traditional body-on-frame design. They both offer commanding V8 performance, stellar towing capacities, and spacious cabins. The most notable differences are the amount of available cargo room and the price. If you’re looking for a vehicle with an astonishing amount of room, the 2016 Chevrolet Suburban might be the vehicle for you. Keep in mind, though, that the extra space comes at a slightly higher cost and a little bit less maneuverability around city streets. If you’re content with a little bit less room for storage and want a slightly higher towing capacity for less money, then the 2016 Chevrolet Tahoe might better suit you. You don’t have to make your decision at this moment. At Sunrise Chevrolet, we want to make sure you’re getting exactly the right vehicle for your needs. Stop by for a test drive of both vehicles, and find out about our competitive financing offers while you’re at it. We’re located near Bloomingdale at 414 E. North Ave in Glendale Heights, and you’re welcome to contact our sales team with any questions.